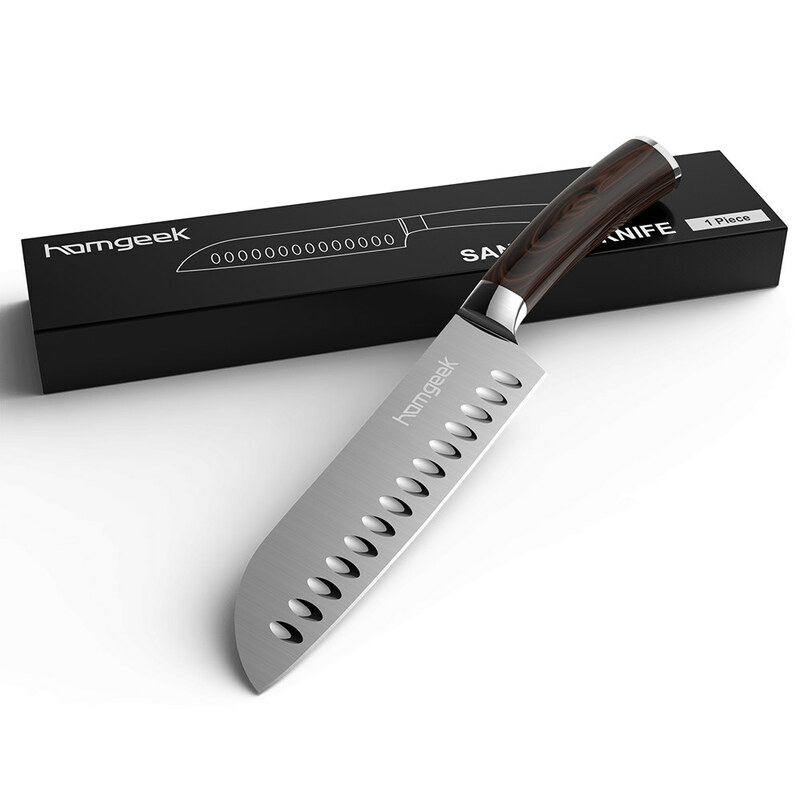 100% Satisfaction Guarantee, Lifetime Warranty, Just try it! 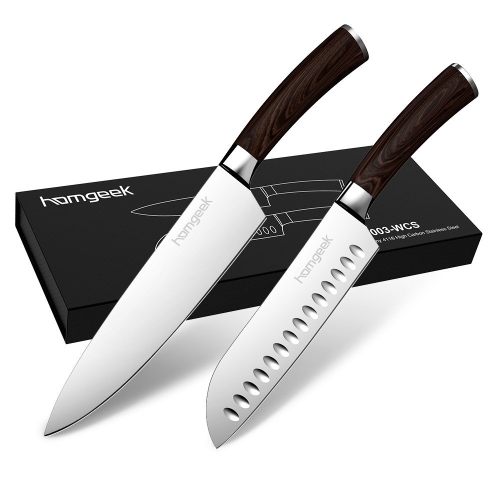 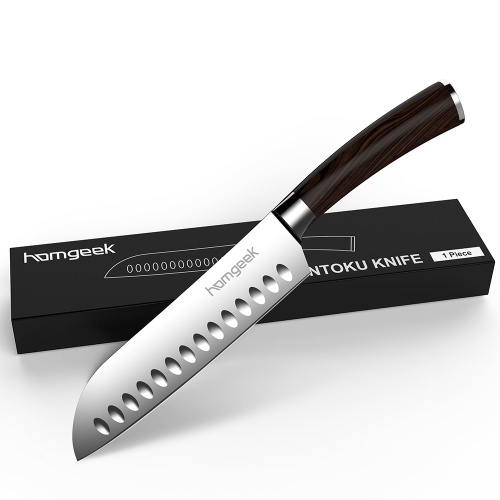 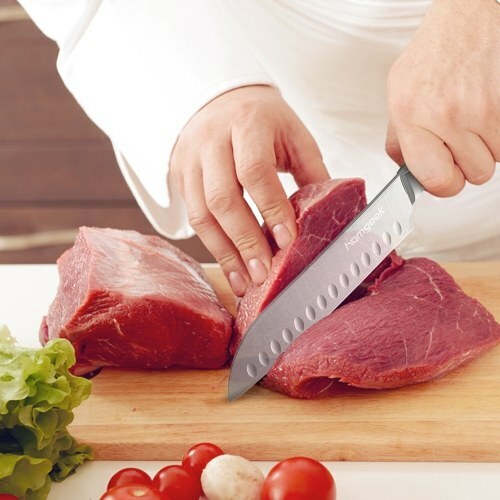 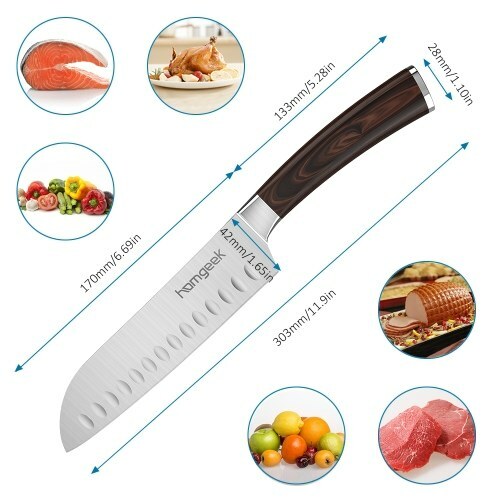 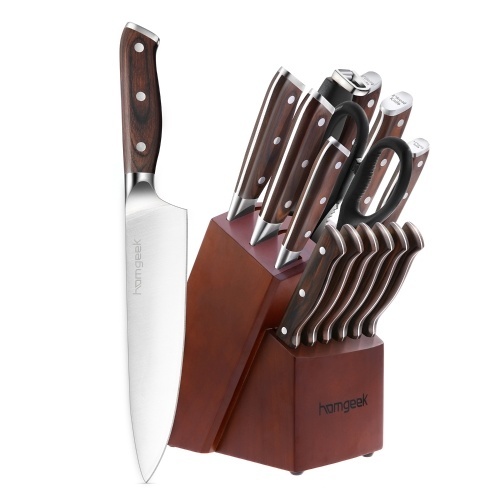 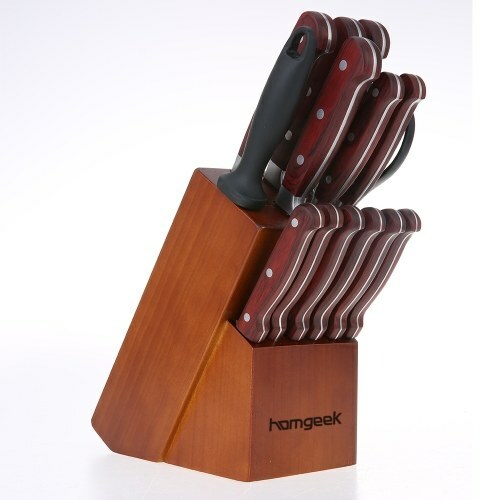 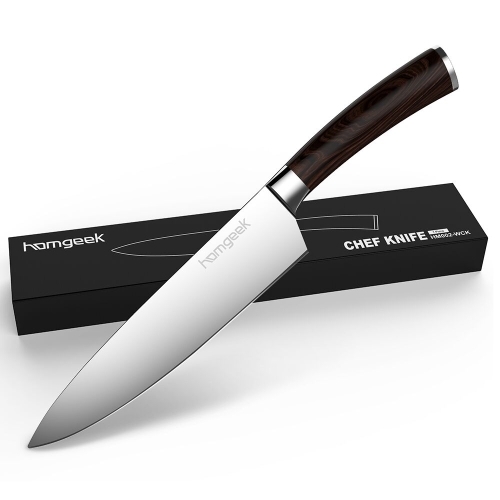 Hollow Edge Design-The 7 inch santoku chef knife scalloped hollow edge is added air between the knife blade and the material being cut, keeping things from sticking to the knife blade, special for slicing, dicing, and mincing. 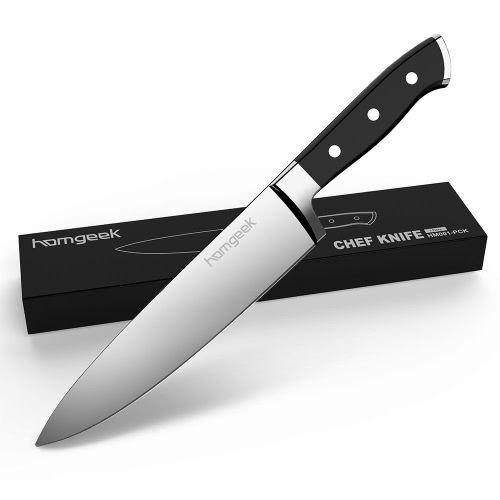 Anti-Corrosion and Anti-Tarnish Blade - Constructed from German Stainless Steel, the knife benefits from an official Rockwell hardness rating (HRC) of 54±2 and combines 0.3% carbon which stops the blade from being brittle and 13% chrome which provides corrosion resistance and an anti-tarnish finish. 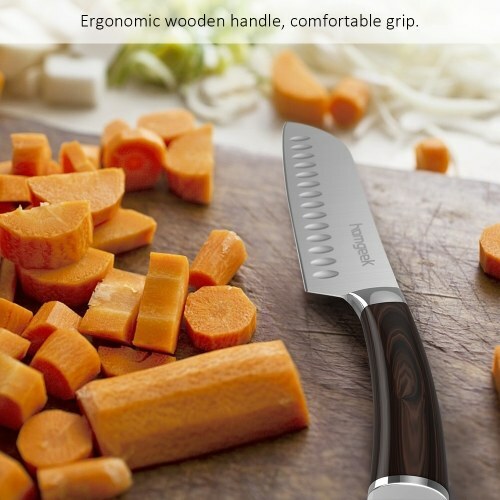 Comfortable Pakka Handle: Ergonomic handle is made of PAKKA wood which is known for its comfort, sturdiness, durability, to achieve minimize fatigue, finger numbness or aches after holding it for a long time. 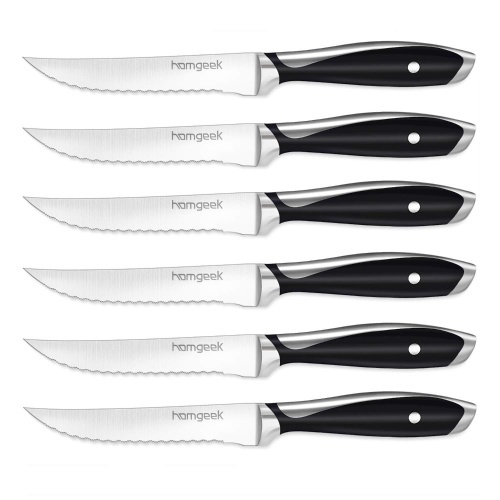 well-balanced lightweight, nonslip sturdy handle combined, give you amazing precise and effortless cutting experience. 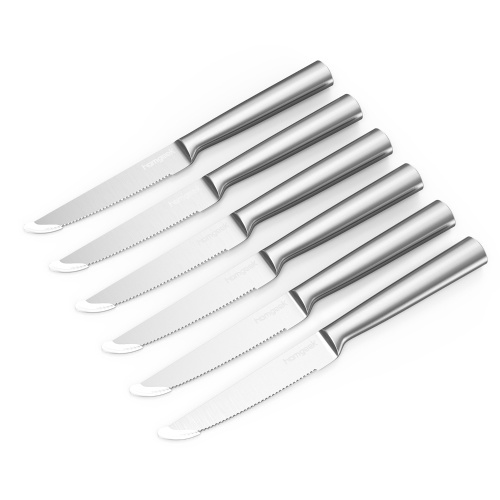 Before first use, please clean the knives, please avoid direct contact with blade edge! Don't test with fingertips. Don't chop bones or use the knife to cut on hard objects and surfaces like glass cutting board or granite.